2012 was an incredible first (and last) year for The Big Fairbanski film website. I will now be taking a break from film journalism so I can pursue other projects. The Twitter account will remain active, providing you with tweet-sized reviews and film news. You can follow The Big Fairbanski on Twitter here. In the meantime, you can read my Top Five Films of 2012. 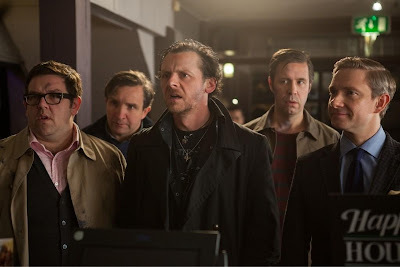 Image of the Week: Edgar Wright's The World's End has released a screenshot of its principal cast members: Simon Pegg, Nick Frost, Martin Freeman, Eddie Marsden and Paddy Considine. None of them look too happy, which isn't surprising. Wright's third outing with Pegg and Frost tells of five friends reuniting for a pub crawl they failed to finish years ago. Unfortunately, an apocalyptic event fails to derail the pub crawl once again. Good News: Damon Lindelof will not be returning to write the screenplay for Ridley Scott's sequel to Prometheus. Lindelof's script for the original received a lot of negative criticism for its paper-thin characters and nonsensical plot so Lindelof stepping down will please Alien fans everywhere. Bad News: Gerry Anderson, the puppet pioneer behind Thunderbirds and Captain Scarlet, has died at the age of 83. He will be remembered fondly for delivering a wealth of hit childhood television. 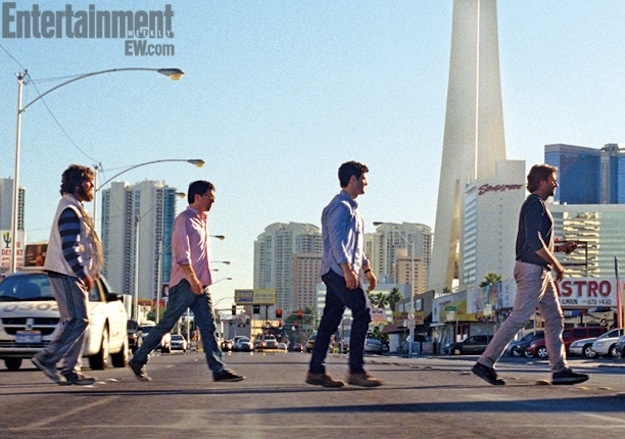 Classy News: Anchorman 2 has been given an official release date of 20 December 2013. Put your scotch on ice and get ready to celebrate next Christmas. Trailer News: The Incredible Burt Wonderstone looks set to be an all-star comedic hit about rival magicians played by Jim Carey and Steve Carell. Click below for the trailer, which features plenty of digs at David Blaine's media-hyped publicity stunts. Image of the Week: The Hangover Part III - yes, it's really happening - has released its first few images through EW, including the shot below of the Wolfpack doing a Beatles-style stroll across Vegas. Maybe Justin Bartha will finally get some screen time. Good News: Peter Jackson has confirmed that extended DVD editions will be released for The Hobbit films. In fact, he has already cut the An Unexpected Journey extended edition. Deleted scenes will include a scene with Gandalf and a young Bilbo Baggins, plus another at Rivendell where the dwarves play a prank on the elves. Bad News: Disney have decided to make another Tron film, despite the lukewarm reaction to 2010's Tron Legacy. Garrett Hedlund is due back as Sam Flynn and director Joseph Kosinski is tasked with bringing the grid to life again. But Tron doesn't needs to be milked any further. It should have stayed in the eighties and remained a cult classic. Mad News: Ricky Gervais is due to replace Jason Segel as the lead in The Muppets 2. Will his trademark cynicism and world-weariness blend well with Kermit's feel-good gang? 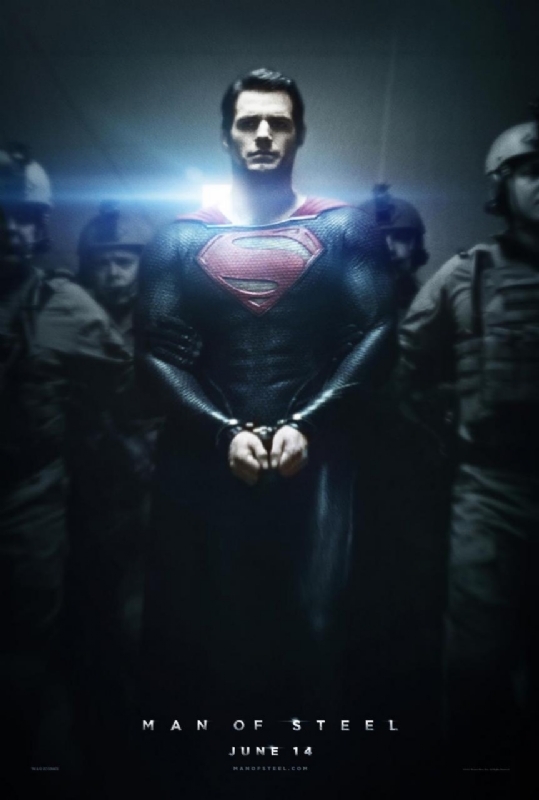 Image of the Week: it's a new Superman poster and the Man of Steel is in handcuffs! We are finally offered some clues about Snyder's so-called modern take on the Superman legend might actually involve. Good News: Skyfall is now officially the UK's biggest ever film, grossing more than Avatar with a cool £94 million. This means Bond is still looking nifty at fifty and has given further momentum to the proposed interconnected Bond 24 and 25 follow-ups. Shame they killed off Silva. Bad News: Empire Magazine, regarded by many as the holy gospel of film journalism, have only awarded The Hobbit four stars. Does this mean the long-awaited prequel is lacking? Or are they just trying to be unpredictable? Mad News: the preparations for Legend of Conan are gathering speed, which will see Arnold Schwarzenegger reprise his role from the 1982 Conan the Barbarian. Universal are hoping to fast-track the film for a summer 2014 release. Schwarzenegger will turn 67 by that time. Can we really see him rocking Conan's banana-hammock at that age? Trailer of the Week: not exactly a trailer but it's another Hobbit video blog! Image of the Week: Sam Raimi's horror classic, Evil Dead, is getting a remake. Thankfully, Raimi and original star Bruce Campbell are supervising. Sadly, the poster is straight-up serious and shows no indicator of the original's tongue-in-cheek dark humour. Good News: Marc Webb is busy casting for The Amazing Spider-Man sequel with The Descendants' Shailene Woodley locked in for Mary Jane and the search hotting up for Harry Osborn (son of Spidey arch-nemesis Norman Osborn AKA The Green Goblin). Currently, rumours indicate Chronicle's Dane DeHaan. Bad News: another franchise-milking Mission Impossible film is on the cards after last year's Ghost Protocol. Tom Cruise appears to be favouring his Jack Reacher writer/director Chris McQuarrie to take the helm. Mad News: Universal seem determined to turn primitive computer game, Asteroids, into a feature film. Screenwriter Matthew Lopez failed to put anything to paper back in 2009 and now Jez Butterworth has been hired to tackle the Atari classic. It's time for Universal to give this one up. Trailer News: the second trailer for Epic is below. It appears to be a weird mix of Avatar and Ferngully. At least the animation is stunning. Image of the Week: the first image from Doug Liman's All You Need is Kill features Tom Cruise running from an explosion in a mech suit. 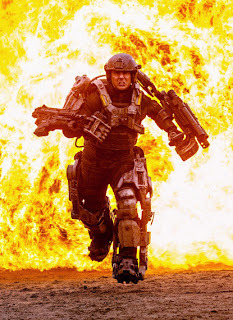 Cruise will play Bill Cage, a soldier forced to fight (and die) over and over again as alien invaders trap him in a hellish time loop. Good News: Michael Ardnt, screenwriter of Toy Story 3 and Little Miss Sunshine, is writing Star Wars Episode VII. Bad News: Transformers 4 is happening and Mark Whalberg has signed on to star. Hopefully, he'll bring some class to the clunky franchise and not give a repeat performance of his role in The Happening. Mad News: Morgan Spurlock, director of Super-Size Me, will be directing a 3-D documentary about the rise of One Direction. He famously attacked McDonalds but now seems more than happy to sell-out to the Simon Cowell corporate bandwagon. 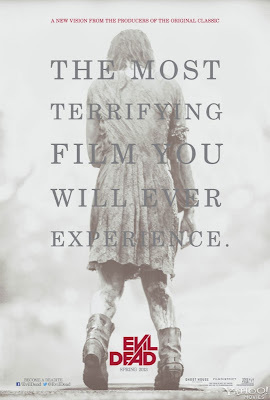 Trailer News: time for another Zombie movie! Click below to watch Brad Pitt run from zombies in the forthcoming World War Z.